SevOne has announced six new SevOne xStats Adapters for use with Accedian Vision, Alcatel-Lucent 5620 Service Aware Manager, Cisco StarOS, Ericsson OSS-RC, Mitel and Nokia NetAct. SevOne xStats technology incorporates any time-stamped metrics into the SevOne Performance Monitoring Cluster. These metrics can then be automatically correlated with other metric, flow and log data at scale for vital end-to-end visibility into the performance and availability of 4G LTE and IP Multimedia Subsystem (IMS) networks and services from Access to Core. Accedian – The SevOne xStats Adapter for Accedian™ Vision EMS™ provides the ability to monitor and manage network and resource performance using Accedian e/v NIDs and regular data exports from the Accedian Vision EMS. This allows users to monitor KPIs related to OAM testing (Y.1731 and TWAMP) via CSV and XML to identify trends, monitor performance and aid with resource assurance of core network infrastructure. Alcatel-Lucent –The SevOne xStats Adapter for use with Alcatel-Lucent™ 5620 Service Aware Manager™ provides the ability to monitor and manage network and resource performance of Alcatel-Lucent Core and Edge router infrastructure via the Alcatel-Lucent 5620 APIs. This allows users to monitor KPIs related to network, interface, session, OAM testing including L2/L3 routing tables and device utilization to identify trends, monitor performance and achieve resource assurance of their Alcatel-Lucent infrastructure. 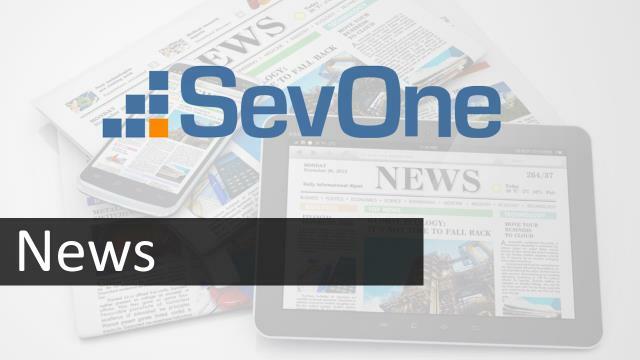 Cisco – To help our customers monitor their Cisco Aggregation Services Router (ASR)-based 4G LTE infrastructure, SevOne offers the SevOne Adapter for use with Cisco StarOS™. This adapter provides the ability to monitor the performance of Cisco StarOS PGW, SGW and xGW devices using device-generated performance metrics. This allows customers to retrieve KPIs related to: S, G and SG Interfaces; Evolved Packet Gateway device and services statistics; AAA Session Information (Active, Dormant and Total) for Radius and Diameter; APN and Bearer Statistics and Billing and Charging utilization to identify trends, monitor performance and aid with service assurance of the Cisco ASR product family supported by Cisco StarOS. Ericsson – Ericsson provides a highly scalable and dependable infrastructure capable of supporting millions of mobile customers. Those millions of customers create a multitude of metrics that need to be monitored closely to ensure services are delivered to customers with the quality they expect. To address that need, the SevOne xStats Adapter for Ericsson OSS-RC provides SevOne users the ability to monitor and manage the performance of Ericsson OSS-RC LTE RAN and EPC Devices using Ericsson OSS-RC EMS performance metrics. This allows users to retrieve KPIs related to: session management, signaling traffic (Diameter, SIGTRANS, SS7), logic interface (C, S, G, M and I interface domains) performance and device performance KPIs (interface, memory, CPU, etc.) to identify trends, monitor performance and aid with resource assurance of Ericsson-based infrastructure. Mitel – The Mitel platform offers service providers a complete set of EPC, IMS and VAS devices (AGW, IMS Core, mSTORE, RMS, SMSIWF, TAS, UAGSBC, VMAS). The SevOne xStats Adapter for Mitel™ LTE/IMS/VAS (former Mavenir devices) enables SevOne customers to monitor and manage the performance of their devices, resources, sessions and interfaces (Physical and Logical) to identify trends, monitor performance and assure services and infrastructure. Nokia – For service providers, monitoring the integrity of services, the consumption of resources and the behaviors of their services is critical to maintain a high level of client satisfaction. With the SevOne xStats Adapter for Nokia NetAct IMS, customers gain the ability to monitor and manage their IMS Devices and Services using the NetAct EMS collected performance metrics. This allows users to retrieve KPIs related to: session management, signaling traffic (Diameter, SIGTRANS, SS7) and logic interface (C, S, G, M and I domains), along with service transaction utilization performance, to identify trends, monitor performance and aid with resource assurance of their IMS infrastructure and services. In addition to these latest SevOne xStats Adapters, SevOne has delivered dozens of xStats Adapters for customers. SevOne xStats Adapters enable customers to include metrics from any third-party source that provides management functions for components throughout the digital infrastructure, such as network probes, proprietary business applications and element management systems from network equipment vendors. SevOne offers a number of ways to incorporate third-party data, processing that information with the same analytics applied to out-of-the-box data sources. For custom data sources, just like standard sources, SevOne will automatically establish baselines of normal performance, generate alerts when actual performance deviates from those baselines and feed the data into reporting analytics. Is SDN Doing More to Accelerate Service Provisioning than OSS?